SAN MATEO, Calif. – Recently, the AtScale Intelligence Platform 4.0 has been released AtScale, a start-up firm to assist the business user and their underlying Hadoop data platform. The intelligence platform would introduce nonpareil innovations in regard to enterprise security and performance. 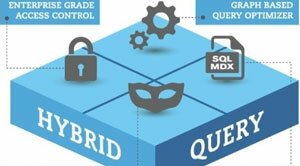 Furthermore, it also boasts of the industry's first Hybrid Query Service™ for BI on Hadoop—patent-pending innovation. Enterprises can now query Hadoop at top speed, from any BI tool in MDX and SQL mode, natively. "With the release of Version 4.0, AtScale offers the most comprehensive security controls available in the BI-on-Hadoop category," said Josh Klahr, Vice President of Product Management, AtScale. "Enterprises attempting to turn Hadoop into a true analytical data warehouse face lagging query performance, security issues and a frustrating experience for business users. With this release, AtScale eradicates these issues and provides a seamless and secure experience that is second to none." The new AtScale Intelligence platform enables the enterprises— who look to turn Hadoop into a true Analytical Data Warehouse need—to subdue unmanageable governance, performance and security challenges. AtScale's True Delegation™ capabilities ascertain that each query on the Hadoop cluster is associated with the end-user who generated that query and meet the most stringent data governance and access auditing policies. The Platform works seamlessly with Apache Sentry, Apache Ranger and fully supports LDAP, Active Directory, and Kerberos. AtScale 4.0 also features application-level Role-Based Access Controls and can be automatically synchronized with security groups managed by LDAP or Active Directory. This provides an extra layer of security and ensures that only authorized users can view, query, and modify AtScale Virtual Cubes™. AtScale's Hybrid Query Service™ enables enterprises to support MDX and SQL natively, without being asked to download new clients or drivers on the end-user devices. AtScale 4.0 is the industry's only platform which holds these standards and whose service can support advanced analytics functionality such as semi-additive metrics or many-to-many relationships. "Our benchmark research shows that Business Intelligence tools are the most common technology for big data analytics," saidDavid Menninger, SVP & Research Director, Ventana Research. "Platforms that enable utilization of these tools with Hadoop, such as AtScale, allow organizations to operate in their preferred environment as they seek to extract value from their big data sources."